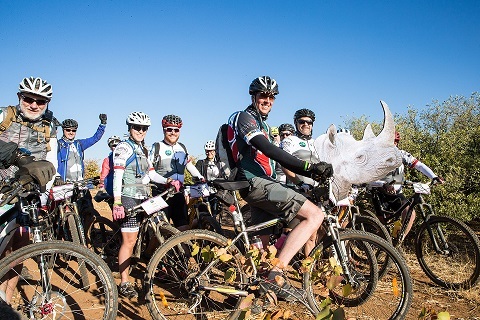 Tour de Wilderness, the organiser of the annual Nedbank Tour de Tuli multi-stage mountain bike event, is proud to celebrate the success of its 12th Tour which saw 330 participants cycle across 275km of challenging and remote terrain in Botswana, Zimbabwe and South Africa between 28 July and 2 August. “The 2016 Tour not only delivered plenty of adventure, camaraderie and a total immersion in some of Africa’s most pristine and spectacular wilderness areas, but further entrenched the Tour as one of Africa’s premier mountain biking events. Cyclists from across the globe joined us to participate in this year’s Tour, which is set to raise a record-breaking amount for Children in the Wilderness (CITW). We are extremely proud that our efforts for the Tour ultimately translate into making such an important difference to environmental education in our rural communities”, said Tour Director, Nicola Harris. 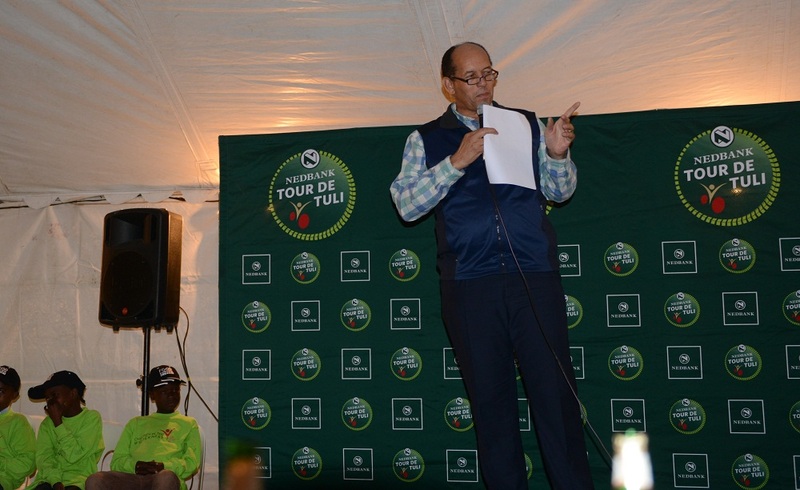 With Honourable Tshekedi Khama, Botswana’s Minister of Environment, Wildlife and Tourism, opening the Tour and addressing the cyclists at the Limpopo Valley Airfield on the first night, the Tour was set for an exciting start. Cyclists, both first timers and seasoned regulars, were truly impressed with the 2016 route which followed ancient wildlife paths in the wildlife-rich Northern Tuli Game Reserve in Botswana, Mapungubwe in South Africa and Zimbabwe’s Maramani area. The cyclists experienced a range of incredible wildlife interactions throughout the Tour, with a highlight for many being when a herd of elephant walked past their first tea stop. In addition to the beautiful scenery along the way, from ancient baobabs to rock formations, along with delicious food and incredible hospitality, one of the main highlights of the Tour was interacting with the children at Lenswe Le Moriti Primary School in Botswana. Many cyclists handed out backpacks with stationery and caps to the schoolchildren who were thrilled with their new goods and especially enjoyed being taken on a few short rides with some of the dusty, friendly cyclists. “What many people don’t realise is the enormous effort that goes on behind the scenes to ensure a seamless event, from the pre-Tour arrangements to the actual transport of bikes, tent setups, food, drinks, luggage movements and so on. I cannot thank my team and volunteers enough for the hours of effort and tireless energy 24/7 to ensure that our cyclists not only had the best mountain biking experience during the day, but were cared for and spoilt throughout the Tour”, Harris added.